Clarets striker Chris Wood has helped broker a new deal that treats New Zealand’s male and female national-team footballers equally in terms of pay, prize money, image rights and travel conditions – an unprecedented arrangement in world football. 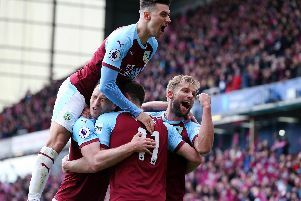 This is the way it should be,” said the Burnley striker who as captain of the men’s New Zealand team and board member of the New Zealand Professional Footballers’ Association (NZPFA) was involved with negotiations with the national football federation. Wood has seen elite women footballers struggle with pay and conditions. His sister Chelsey represented New Zealand, while his girlfriend Kirsty Linnett is at Reading, currently third in the English women’s league. Wood knows many New Zealand women players personally.